You’re looking at a very clever approach to playing LPs. No turntable required. Just place the LP on a flat surface, and the RokBlock will drive itself along the grooves. Totally busts any expectation about what a record player ought to be. Use it anywhere! So here’s the deal. This is an active Kickstarter campaign–they have already met their goal. The RokBlock contains amplification and loudspeakers, so this is all you need. Of course, you can use the built-in Bluetooth to send the sound over to any Bluetooth device–a headphone, a better wireless speaker, even your high-end stereo system. No, this won’t sound anything as good as a proper sound system, but most people don’t want / cannot afford / could care less about being an audio phone. Most people just want to have some fun and listen to some music. Anywhere. And now there’s a way to do that. If you want one, the best available KickStarter deal costs $79–that’s still 20% off of the expected $99 retail price. But you, like anyone who orders, will have to wait until September 2017 before the box arrives. There’s a rechargeable battery that lasts about 4 hours. 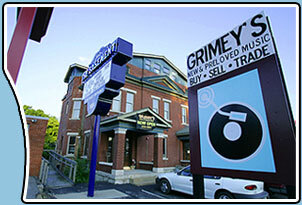 You can play 33 and 45 rpm records (but not 78s rpm). It’s a cute gimmick, a clever example of creative thinking in action. Without one in my hands, it’s tough to imagine the sound quality. I’m sure it’s no worse than an old record player, and my guess is that this will sound better than those early devices. 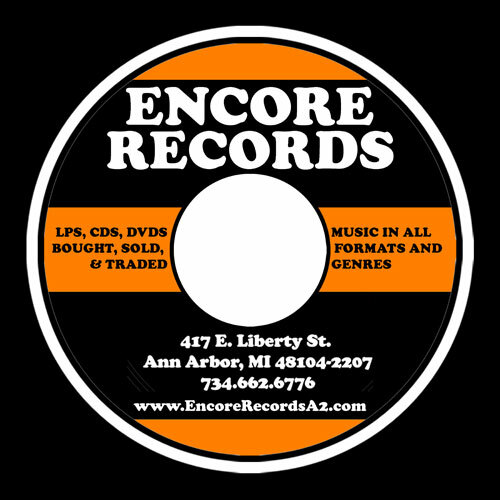 As LPs continue to gain popularity, here’s a list of stores that sell used LPs. Fair prices (mostly, around $5, some as low as $1-2, as high as $7-8). Very good to excellent condition (free from noisy scratches, sometimes, a nice sheen). Jacket with significant rips, marks or other degradation. 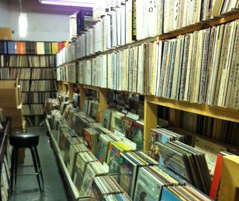 Check your local yellow pages–most urban areas support at least one good used record store. Please comment additions or corrections, and I will update the list from time to time. 1980s: I’m buying lots of LPs. 1990s: I’m buying lots of CDs. 2000s: I’m downloading lots of music files. 2010s: I’m buying lots of LPs. What’s going on? As record companies contemplate the end of CD production, LPs are gaining popularity. TIME magazine caught the trend early, but failed to mention activity in vast used LP stores (separate blog post, in the works). Here in 2011-12, it’s more complicated–and that’s without the USB connection to your computer. One popular, convenient choice is Audio-Technica’s PL-120, available for about $300. It includes everything you need except the amp and speakers. And, you can connect it to your computer to create digital versions of your LPs. Rega's RP1 Turntable, an audiophile choice. If you’re willing to invest more money for better sound, the audiophile choice is Rega’s RP-1, which includes a superior tone arm, a better drive system (to spin the platter) and other features that contribute to a cleaner, more focused presentation. The cartridge (which typically includes the stylus) is an accessory–each cartridge design possesses unique sonic characteristics–is a separate purchase. Rega’s RP1 accessory kit costs an additional $200, and includes Rega’s Bias 2 cartridge and several useful accessories. 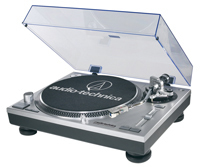 Audio-Technica's all-in-one, lower-priced USB turntable. Better would be another favorite cartridge, Audio-Technica’s ML-440. With turntable, tone arm and cartridge in place, you need a phono preamp. At about $150, one good choice is Music Hall’s PA 1.2. I leave the choice of amplifier and loudspeakers to you–the old system stored in your basement or found in a good used stereo shop will be just fine. Audiogon.com is an online store specializing in audiophile equipment, but a local dealer may provide both friendly advice and a place to listen before you buy. Jerry Raskin’s Needle Doctor, which sells all sorts of cool stuff, not just needles!